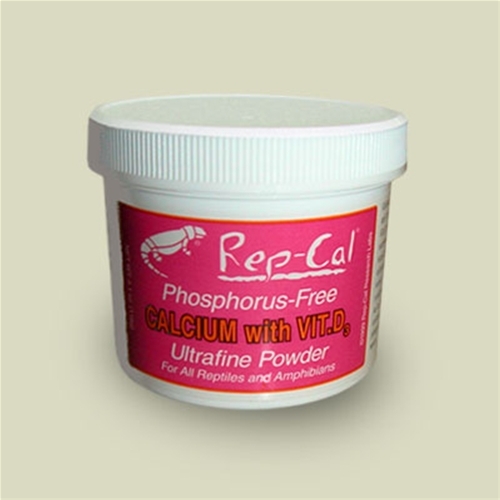 Rep-Cal Ultrafine (fine grind) is an excellent source of calcium for all reptiles and amphibians. Scientifically formulated from 100% natural Oyster Shell, it provides PHOSPHOROUS-FREE calcium carbonate with added Vitamin D3 to aid in the absorption of calcium. 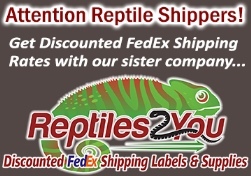 This blend contains NO phosphorous - recommended for reptiles or amphibians who already consume large amounts of high-phosphorus foods (crickets, mealworms and wax worms).